This is a SERVICE for us to cut your MPX handguard to any specified length. This service includes cutting, deburr, and re-finishing in black Cerakote. This service is only available for MPX handguards. NOTE: Mark location you want the handguard cut. Please be aware that specified length may leave open cut keys. This service includes re-finishing in black Cerakote. If you would like your handguard re-finished with another one of our stock Cerakote colors, there is additional charge of $50. 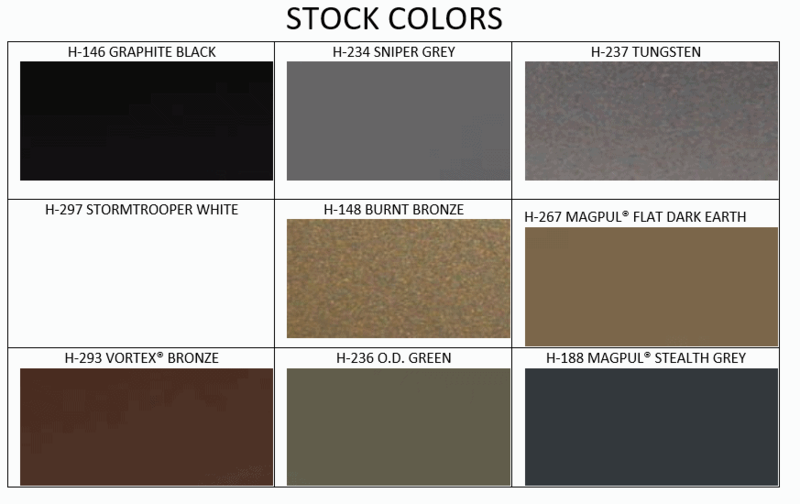 Additionally, you can select from any non-stock Cerakote color for $100.